Hayley Danielle Gibbs, 27 of London, Ohio left this world unexpectedly Sunday, January 27, 2019. Hayley was born on Tuesday, September 10th 1991 to Gary Brown and Caroline Gibbs. She was a beloved girlfriend, daughter, granddaughter, niece, and friend. Hayley loved spending time with her beloved boyfriend, the outdoors, fishing, and spending time with her many friends. She loved to laugh, enjoyed music, and her many discussions about life with those close to her. She also loved taking her puppy Layne on adventures, long drives, and swimming at the lake and loved talking about her cat William and the funny things he always did. Hayley was an incredibly compassionate, silly, and loving young woman. She loved her job as an LPN, treating each patient as if they were family. She was a selfless person and it was her passion to help others. She lit up the room with her bubbly personality, and the most beautiful smile that could light up your soul. We will always remember her infectious smile, her voice and caring personality. Her presence in our lives will be greatly missed. She is survived by her mother, Caroline Gibbs; her loving boyfriend, Nathan Shobe; her grandfathers, Doug Gibbs and George Nattestad; her Aunts and Uncles, Melinda Lawrence, Kelly (Darrin) Endicott, Bill (Colleen) Gibbs; many cousins; and her fur babies, William and Layne. She is preceded in death by father, Gary Brown; her grandmother, Jane Gibbs; and cousin, Jack Gibbs. A Celebration of Life service will be held at the JOHNSON-SMITH FUNERAL HOME, 207 South Main St., Baltimore, Ohio 43105, on February 2, 2019 at 3 PM. Visiting hours will take place from 1 PM until the time of service on Saturday. 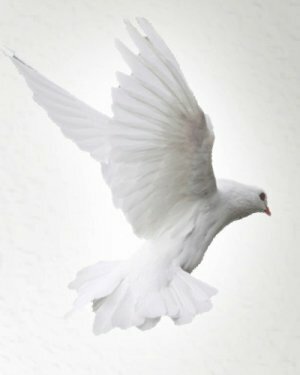 To make an online condolence, and sign the guestbook, please visit www.funeralhome.com.